I have 40 years experience and in that time have been through many training courses qualifying me to perform a wide range of treatments. I’m also a member of a British Institute & Association of Electrolysists. I’m trained to use Aculight HR IPL, Chromolite IPL, N-Lite laser, Ellipse, Episoft MD IPL, ADL Sapphire Nd:YAG, RevLite & PicoSure. We’re based in Burnley, Lancashire, which is just 25 miles from Manchester. See our address and contact details here. Yes we have a car park. View our contact page for directions. 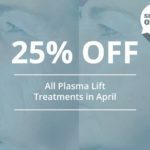 Is there a minimum age for laser treatment? Laser Tattoo removal with either the RevLite or PicoSure machine will hurt to a certain extent – it’s usually compared to the pain of an elastic band being ‘pinged’ onto your skin. Many of our clients say that if you’ve been through the process of having a tattoo, the RevLite laser is equal to or slightly less painful and the Picosure is noticeably less painful. For further reading check out our more detailed blog post specifically on this question. As with many clinical treatments, side effects are a given and most are a sign that your body is beginning to heal. 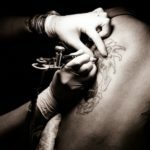 Read this blog post for a detailed explanation on all possible side effects of laser tattoo removal. This all depends on the size and type of tattoo you have. A large professional tattoo will require more sessions than a small amateur tattoo. The best thing to do is consult our PicoSure page where you’ll find a general guide. For the most accurate advice, attend the clinic for a free consultation. What's the best way to care for my skin after laser treatment? We have written a blog post especially to answer this question – Laser Tattoo Removal Aftercare Advice. Can I go in the sun after laser tattoo removal? Not for at least 6 weeks. Read our sun exposure FAQ blog post for a more detailed explanation. Results will very from patient to patient, but most cases require between 2 and 6 treatments to achieve the desired results. Each session will last between 15 and 30 minutes. Similar to the aging process, this varies from patient to patient. However, taking steps to protect your rejuvenated skin (i.e. by using SPF sunscreen, facial cleansers and creams) the results and effects will last far longer.